CINCINNATI - The ball landed a few feet behind the 404 sign on the centerfield fence. 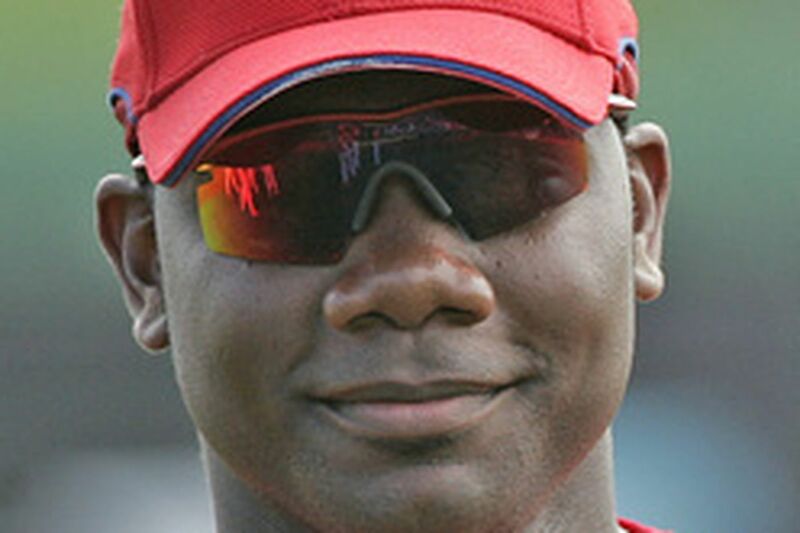 The television cameras zoomed in for a reaction shot on Ryan Howard. Even without sound, his words were clear. "About damn time," the 2006 National League Most Valuable Player said. His second home run of the season didn't decide the game. The two-run shot came in the ninth inning yesterday off Reds reliever Mike Stanton and just padded what turned out to be a 9-3 Phillies win at Great American Ball Park. But Howard got off to a slow start and was back in the lineup for the first time after missing three games with a sore left knee. And he also had hit some balls hard lately, including one in the first inning yesterday that ended up being caught on the warning track. So his reaction was understandable. "It's tough when you're not catching a lot of breaks," he said, appearing slightly embarrassed, like a kid caught with his hand in the cookie jar. "Not only myself but the team. The way we've played the last couple days, it's just kind of [indicative] of that." Charlie Manuel, noting that Howard is starting to hit the ball where it's pitched instead of trying to pull everything, predicted again that the first baseman is about to find himself. "That's a good sign," he said. "He'll get hot. He's human. He's a big human, a big, strong human." It's worth noting that, last April, Howard hit five homers with 12 RBI. This year, with eight games left in the month, he has two homers and 10 RBI. The biggest difference is that last year he batted .306 while this season he's hitting .220. When the Phillies' bullpen phone rang before the eighth inning, Brett Myers stood up. He assumed he would be going in to try to hold the lead for closer Tom Gordon. Except that Manuel and pitching coach Rich Dubee wanted Antonio Alfonseca to warm up. If the Phillies hadn't blown the game open with four runs in the top of the ninth, Myers would have gotten his first save opportunity. Manuel said later that Gordon remains the closer and will be used if a save situation arises tonight. He also said that he wanted to give the 39-year-old more than a day off after he warmed up three times Wednesday, pitched an inning Thursday and then had a two-inning stint on Friday. Myers said the important thing was that the Phillies won, but conceded that he was at least mildly disappointed he didn't get a chance to try for a save. "It would have been cool," he said. The Phillies ended up winning easily, but the game was close most of the way. The Reds were down by three going into the bottom of the sixth when Scott Hatteberg led off with a double and Phils starter Freddy Garcia hit Brandon Phillips with a pitch, prompting Manuel to go to the bullpen. Struggling Matt Smith struck out Josh Hamilton, walked Adam Dunn to load the bases and then got Javier Valentin to line out. Geoff Geary came in to face Edwin Encarnacion, who singled to right. Hatteberg scored. Phillips could have brought the Reds to within a run, but rightfielder Shane Victorino gunned him down at the plate. "That was a big play," Manuel said. "They were knocking on the door. That not only ended the inning but kept them from scoring a run. That might have been the game right there."